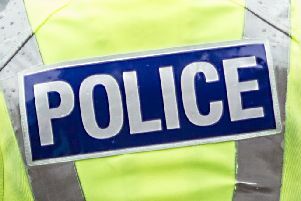 Diners in a Cumbernauld restaurant saw police enter the premises and arrest a 57-year-old woman who had been causing a disturbance. The alleged incident happened at The Beefeater in South Muirfield Road at 7pm on Friday. Officers had been called in after the woman’s conduct gave grounds for concern. The woman faces charges relating to the Licensing Scotland Act (2005) and was given a recorded police warning. A report on this incident has been sent to the fiscal.